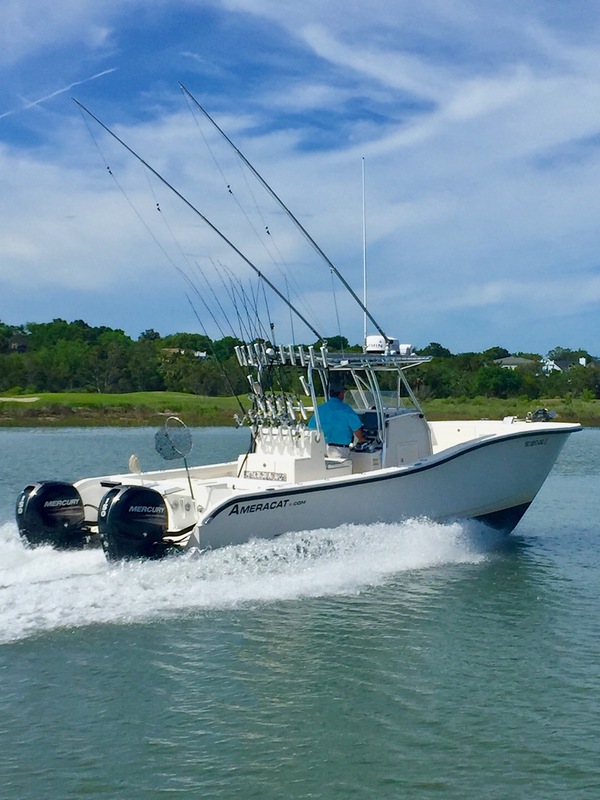 After over thirty one years in the charter fishing business, I am always looking for boats and fishing products that will give my clients the best angling experience. in 2017, I found the perfect boat that offers my clients comfort, safety and speed. It is an Ameracat 27. 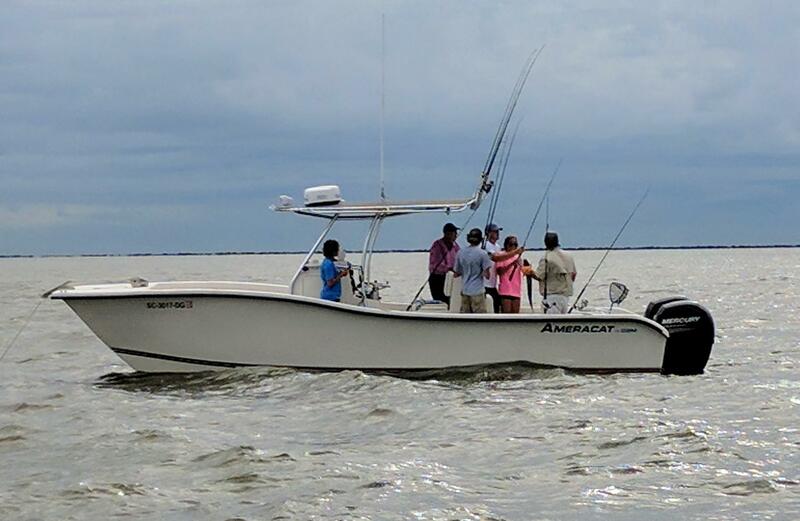 The Ameracat 27 is a custom fishing machine that is a no compromise expression of form and function. 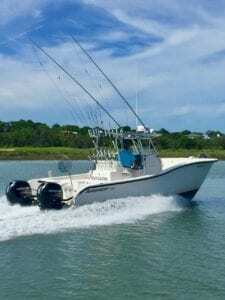 There were several considerations I had to make when I picked a boat design, they included a boat that floats and runs in less than two feet of water, a boat with room for up to six anglers, and a boat that is versatile enough to fish the creeks as well as the gulf stream. Not only does the Ameracat 27 meet all these requirements it also has the most incredible pound free ride of any boat in its class! 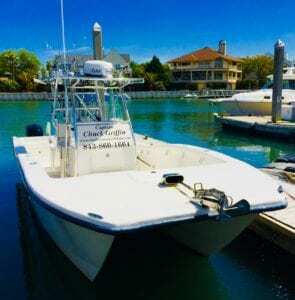 My boat is equipped with the finest Garmin electronics allowing me to efficiently and safely navigate in all weather conditions as well as locate fish when we reach our destination. Also for added comfort, the boat was built with a t-top offering shade and relief from those hot summer days while waiting for the next bite. For power, my boat is propelled by two Mercury 150 four stroke outboards. I can cruise efficiently and quietly at over 30 mph or throttle up to speeds of over 40 mph when I need to cover distances quickly. With the efficiency that these motors affords, fuel cost is not as much a consideration when I want to run to those distant more productive fishing locations. As required, my boat is also equipped with a Coast Guard approved safety package. Fishing equipment includes, a fifty gallon live well designed to keep lots of live baits frisky for the entire duration of the trip, ensuring a better bait presentation to the fish. 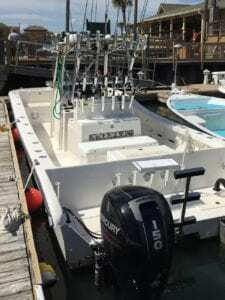 My boat is also rigged with fishfinders that have the latest sonar technology. It is also rigged with outriggers and downriggers for offshore trolling and live baiting. All of this translates into a better value for my clients by offering more versatility, more comfort, and most important of all, a more memorable fishing experience for everyone that will last a lifetime!